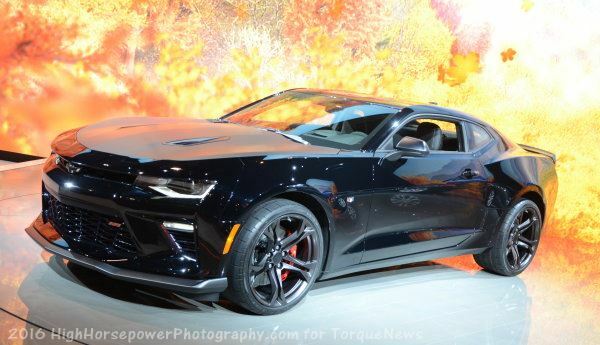 When the 2016 Chevrolet Camaro debuted, there was no mention of a right hand drive model and there had been insider sources who insisted that GM wasn’t working on a right-drive Camaro Six. Ahead of the 2016 Camaro debut, it was expected that the early popularity of the new Ford Mustang in a right-drive configuration would lead to a right hand drive Camaro – thus sparking a proper battle of the muscle cars in Australia. Unfortunately, the total lack of information about a Camaro for the Aussie market led GM performance fans Down Under to wonder what the future would hold in terms of new performance cars in their local showrooms. Based on a new report, it seems that there is a chance that the Australian market could get a right hand drive Camaro, but only if GM sees enough demand over an extended period of time. At the ongoing New York International Auto Show, CarAdvice caught up with Chevrolet Camaro chief engineer Al Oppenheiser and asked him about the possibility of a right hand drive variant for applicable markets. The Camaro boss explained that the company is considering a right hand drive Camaro for markets including Australia, but only if there is a chance of continued demand in those markets – which they are currently studying. GM knows that there are prospective buyers in Australia, but are there enough year after year to support the expense of engineering a factory-built right hand drive Camaro? The new Ford Mustang is the first to be built in right-drive configuration and as a result, sales have exploded in Australia. The allocation of RHD Mustangs headed Down Under is officially sold out into the 2017 calendar year, so there is obviously great demand, but GM wants to see if this interest continues once the initial rush has been satisfied. There is a chance that once this long initial list of Mustang buyers has been handled, the demand for both Mustangs and for RHD American muscle cars will decline dramatically. While we would like to think that the people buying Mustangs and the people buying Camaros are two distinctly different groups, but they are not. There are obviously Ford fans and Chevy/GM fans, but plenty of people who buy one of them could have just as easily purchased the other. If the new Mustang has satisfied many of those non-brand loyal buyers, there could be a much smaller demand for the new Camaro. GM is likely watching the Ford Mustang sales numbers in both Australia and the UK, and if the Motor Company can post consistent sales numbers in those markets, there is a better chance of seeing the Camaro offered in right hand drive. So, if you live in Australia or the UK and you have been dreaming of putting a new right hand drive Chevrolet Camaro in your driveway, make sure to let your local dealership know. Post on social networks telling GM to bring the Camaro to your local market and, oddly, hope for the Ford Mustang to continue selling well in right hand drive markets – as continued success for the Mustang will lead to a right hand drive Camaro. I refuse to buy any other car until they realise there is a huge market for these cars in the UK as well as Australia and we need them in RHD!! Pleeeeeease! I don't want to die without owning one!! !